I'm struggling to save a boolean variable from a class of objects (Door 5). Basically, I want to save whether or not the door is open, and then load that back up. This is working in the game, but as soon as I reload, it won't load the doors in the right state (open/closed). This is my saving of the game (in first person character blueprint). 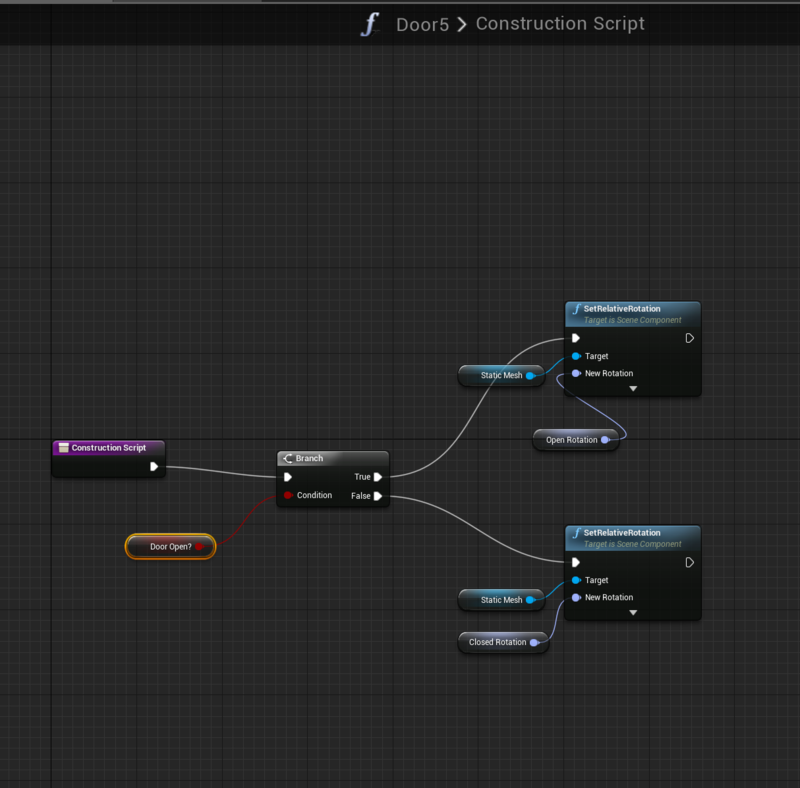 This is my loading of the game (in first person character blueprint). Note: the game is successfully saving the player location/rotation, but not the doors open/close!!! It looks like your images did not post correctly on the thread. Can you post them again? Maybe they'll work as links? SaveGames can't save Actor References, and you're trying to access an array of actors which is empty (which makes sense). You should instead save an array of booleans, and then apply that array in your third screenshot. Any more detail on how to do that? Having the same problem using an array? 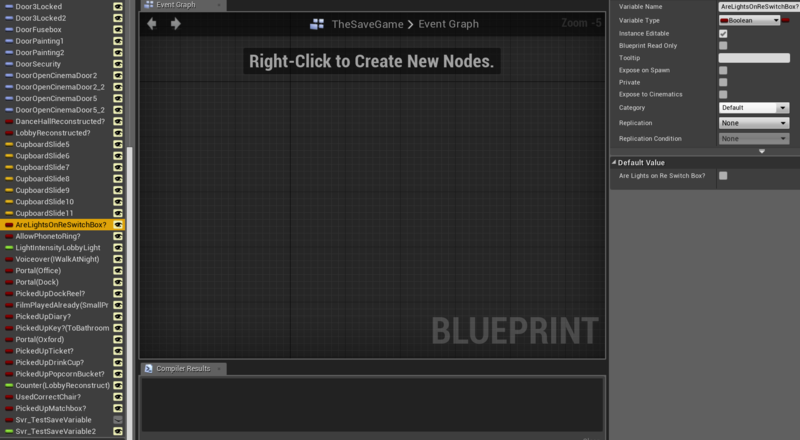 When you're using the SetArrayElem node, you should actually be using the Add node. Because that way, you're accessing indeces that don't yet exist in the array. Try that. I'm still having trouble saving Booleans. It seems all of the tutorials are for other variable types. Anyone else have tips? So I tried to save individual boolean variables, instead of an array, to see if that worked. 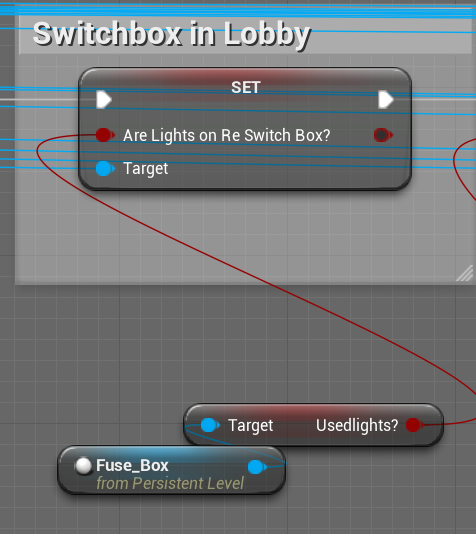 I first get the actor (Fuse Box), and then get the variable from inside that actor (Usedlights). I then set the variable (Are Lights on Re Switch Box) in my Save Game actor, and save that to a slot. 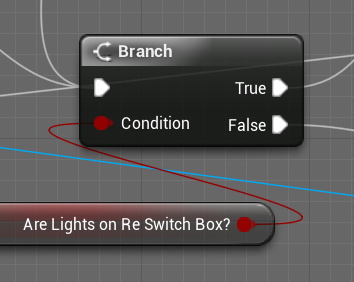 When I load the variable, I get the variable (Are Lights on Re Switch Box) from my Save Game actor, and then use a branch to determine what happens if it is true. And that doesn't work? Show me how you're saving your boolean.